All-terrain vehicles, or ATVs as they are commonly called, provide a lot of fun for riders throughout the state of Tennessee. ATV enthusiasts ride these vehicles off-road on rugged terrain as an exhilarating recreational activity. Although they are a thrill to ride, they can be dangerous vehicles especially when the rider is inexperienced or a child who is physically too small to handle these large, powerful machines. When you sustain an injury when riding an ATV in Nashville, Hendersonville, Knoxville or anywhere else in Tennessee, and that injury was caused by the negligence of another, you may be able to take legal action and recover financial compensation for your injuries. At the Rocky McElhaney Law Firm, we know the serious consequences ATV riders face when they’re involved in a crash. Our Tennessee ATV accident attorneys recognize the struggles that riders may face, and we are committed to providing you with the compensation you need to rebuild your life after an accident. Our Gladiators in Suits are always ready to fight on your behalf, and we keep additional offices in Hendersonville and Knoxville so that we’re nearby when you need us. As the popularity of ATVs in the United States grows, so does the number of injuries and deaths that occur from all-terrain vehicle crashes. 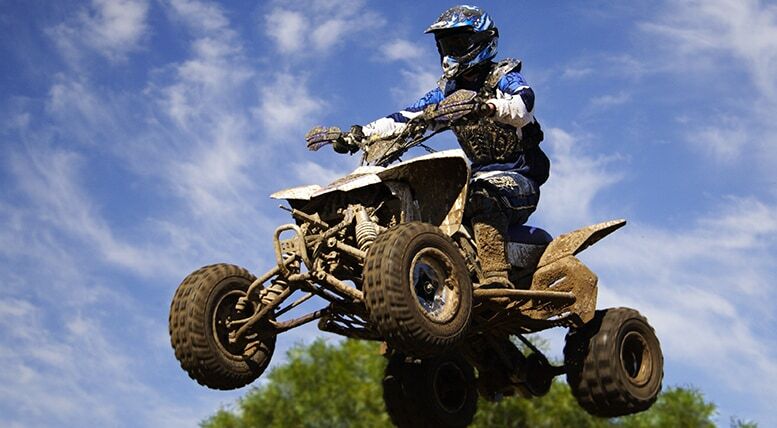 The Recreational Off-Highway Vehicle Center of the Consumer Product Safety Commission reports that Tennessee was among the top ten states for ATV injuries between 1982 and 2008–27 years of tracking injuries and deaths. In that time frame, Tennessee saw 386 deaths. Nationally, between 1982 and 2014, the CPSC reports 13,617 ATV-related fatalities. 3,098 (23 percent) of the fatalities were children under the age of 16. Of the fatalities in children under age 16, 1,342 (43 percent) were under the age of 12. Through a preliminary review of news reports, the CPSC estimates that there were at least 93,700 ATV-related injuries in 2014, 26 percent of which involved children under the age of 16. Of those injuries that received attention in hospital emergency departments, 87 percent were treated and released. When you have been injured in an ATV crash that was caused by someone else’s negligence, you may have certain rights to compensation for your medical expenses, your pain and suffering, lost time at work and any other losses related to the accident. At the Rocky McElhaney Law Firm, we take on the legal burden so that you can focus on recovering from your injuries. Our aggressive team of ATV crash attorneys will fight for the compensation you deserve. In these situations, you want an experienced Nashville ATV accident lawyer on your side to help you. The laws can be tough, but at RML, we’re tougher. Let us fight for you and your family after a crash. When you have been injured due to someone else’s negligence, you are welcome to fill out our contact form or call Rocky today at 615-246-5549 to schedule a free initial consultation. The Rocky McElhaney Law Firm’s law offices are located in Nashville, Hendersonville and Knoxville, but we fight for people all over Tennessee. When you need a Nashville ATV accident attorney on your side that truly represents you, it’s time to call RML.